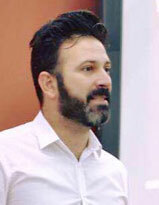 Savvas A. Chatzichristofis pursued the Diploma and the Ph.D. degree (with honors) both from the Department of Electrical and Computer Engineering, Democritus University of Thrace, Greece. In past years, he has served as Adjunct Lecturer at Cyprus University of Technology (CUT), as well as a senior researcher at the Centre for Research and Technology Hellas (CE.R.T.H. ), Information Technologies Institute (I.T.I.). Moreover, he has served as a Visiting Professor for teaching and research cooperation at Institute for Information Technology (ITEC) at Klagenfurt University in Austria.